Air conditioning units can offer comfort in the form of cooler room room temperatures, even if you live in a region that is known for being consistently humid. One of the more common compromises that you may face will be constant problems with your air conditioning unit. If you are often on the go and you are noticing regular issues with your air conditioner, you should know some helpful do it yourself tips for cleaning your air conditioner. There are unique, effective ways that you can clear out your air conditioning unit without impacting the performance over the long term. 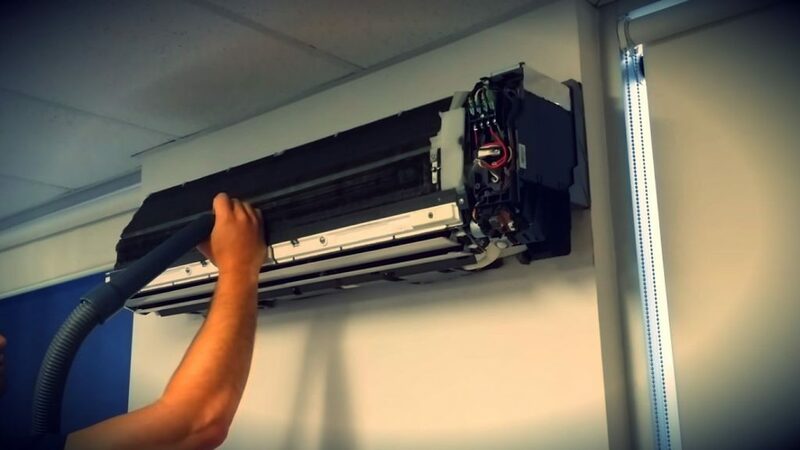 Many of the methods stem from observing aircon specialists, understanding the cleaning process and what needs to be done to keep your unit in great shape. For some people, they can tell when it is time to have their system full cleaned out, as they will start to notice the development of allergies. The quality, as well as the cleanliness, of the air conditioning unit in your room will need cleaning to keep the air fresh and to offer your best chance at health and wellness. Read on more why you should clean your aircon here. What Type Of Unit Do You Have? If you happen to have a window air conditioning unit, you can spot the dust that is building up on your front grill. When you have a split-type unit, the dust will more than likely accumulate due to the air swing. On the external parts of the air conditioner, a simple combination of water and foam will do. Because these are parts that you can easily remove, you can isolate them from the rest of the pieces and prevent damages to the pipes and coils that are unnecessary. It is important that you think about the use of organic products for cleaning your air conditioning system. Many of the professional air conditioning specialists will use a special kind of chemical solution on the coils and pipes to be sure that they are sanitized and free of dust. According to the professionals, this will also be safe to use on the rest of the parts, as they will not cause any kind of corrosion. You can make your very own cleaning solution with all-natural ingredients, including sugar, citrus, yeast and baking soda. This will make for a cleaning solution that is not only effective, natural and environmentally friendly, but it also smells wonderful. Cleaning out your aircon system can be rather tricky when you take in on by yourself. With a good bit of patience and the right tools, you can breeze right through it. A good idea is to have a nice mini-vacuum that you can use to pull up any particles in the small corners of the fan portion. Once you do a thorough cleaning, you can apply a lubricant to help you address any fan noise that you are experiencing. However, if you find that your system does not have a port for lubrication, you can just leave it at that. It will just mean that the fan will not have to have additional maintenance. These are just a few of the tips that you can keep in mind when you are cleaning out your air conditioning system. A smart idea is to go through with a general cleaning every three months. You can also employ an air conditioning professional that will inspect your air conditioning units twice a year to let you know if there are any repairs that should be addressed. When you clean out your air conditioning unit regularly, you will definitely be able to extend the overall performance.